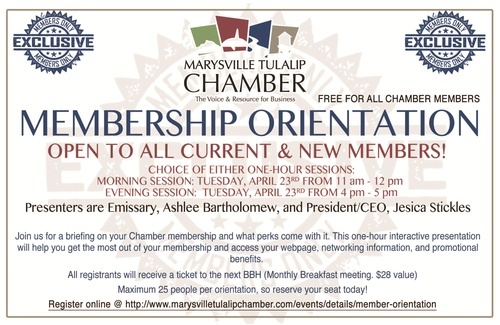 Join us for a briefing on your Chamber membership and what perks come with it. This one-hour interactive presentation will help get the most of your membership and access your webpage, networking information, and promotional benefits. Maximum 25 people per orientation, so reserve your seat today!